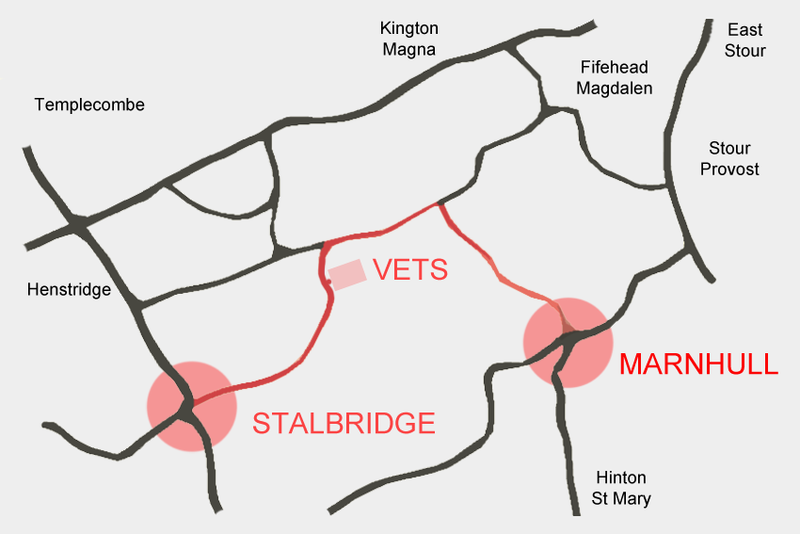 We’re on the road between Stalbridge and Marnhull, opposite Gibbs Marsh Farm. Leave town via Station Road, travelling east. Follow the road for about a mile and when you see a group of farm units and a round blue storage tank on your right, turn in through a gateway at the end of a wooden fence. You are now in the old farm courtyard, and at the far end, you will see the vets facing you. Leave village via Mill Lane, travelling north-west. Drive down the hill, turn left at the bottom, past Factory Farm, and follow the road for about a mile. 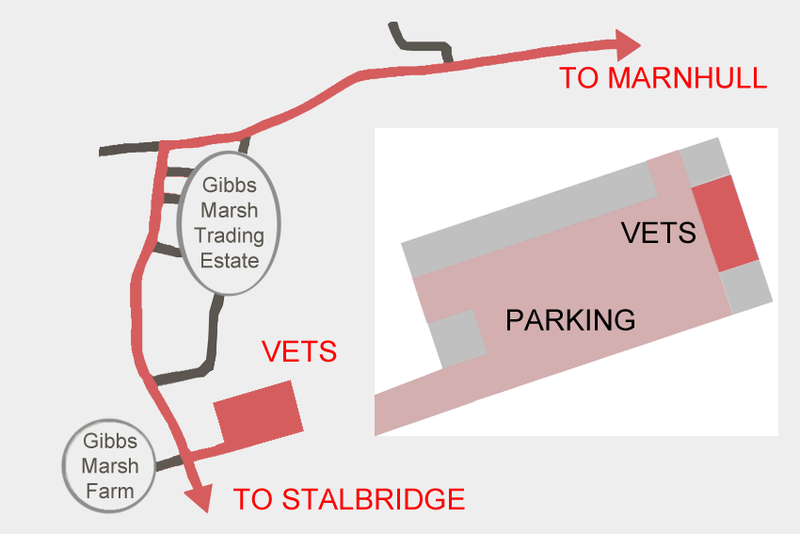 Ignore the turning for Gibbs Marsh Trading Estate, and turn left when you see the signpost to Stalbridge. After three more openings to the trading estate and an opening to Gibbs Marsh, turn to the left at the stone mushroom by the side of the road. You are now entering the courtyard of Gibbs Marsh Farm, and at the far end, you will see the vets facing you.